In a rare moment alone with my brother, right before Christmas, we shared a private (not so private now) conversation about dating. Chad: Oh well, there’s always Bob. Me: He’s always there for me. Chad: I’m sure he’s on your mind all the time. Me: I’m sure someday I’ll meet someone else, but for now, I seem to be stuck with Bob. Lots of chuckles, giggles, and snorts. My brother totally gets me. By the way, in case you’re wondering, Bob is the brain tumor’s name. 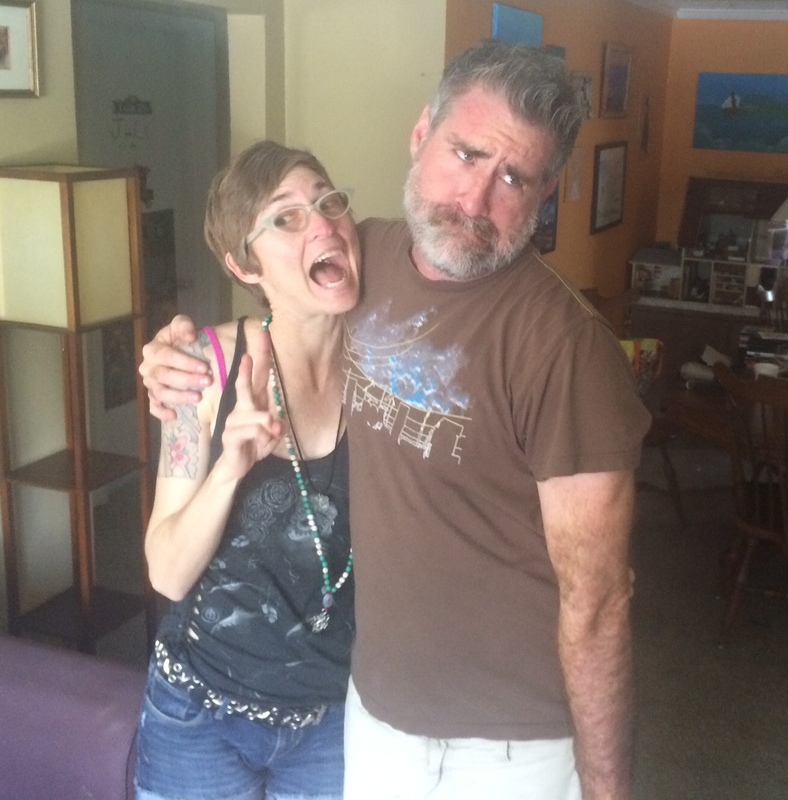 I really just needed a good excuse to post this picture of me with my brother, Chad, from my recent visit to see him and his kids. For the record, this was not a planned pose… we were goofing around while a friend was snapping photos, and this is what happened. To me, Chad looks like a zombie who is completely uninterested in eating my brains. Obviously, one of Bob’s surely many purposes is to save me from the impending zombie apocalypse that everyone keeps talking about. So, there’s that. My brains are safe with Bob on guard. That’s all for tonight… just showing off my awesome big brother! Shout out to Chad, you rock bro! Thanks for keeping me laughing. 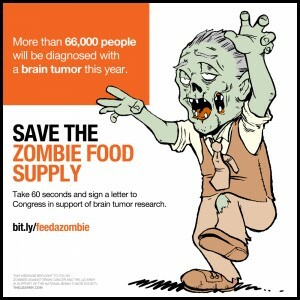 Author Dawn TaylorPosted on May 29, 2015 May 29, 2015 Tags Brain tumor, tumor humorLeave a comment on What about the zombies? Pre-biospy prep: I had my first PET scan today, which was easier to deal with than an MRI, as the tube is open on both ends and it doesn’t sound like your head is inside an amplified tumble dryer full of rocks. Hella more expensive though! I sure hope I hit my out of pocket max with my health insurance soon. They scanned from my forehead to the top of my thighs, looking at all of my lymph nodes and organs to make sure there is no metastasis. Then I get to go back for three additional MRIs tomorrow. My follow up with my neurosurgeon to review these results and discuss the biopsy will be next Thursday, with the stereotactic needle biopsy tentatively scheduled for the following week (two weeks from now). I’m hoping they record it so I can watch it later! Pause for tumor-humor (if I already told you this one, just blame it on the brain tumor): My ex-boyfriend, become best friend, asked me awhile ago, “Is that a brain tumor, or are you just happy to see me?” He came up with a lot of great material that I hope I wrote down somewhere, and can remember where, because I can’t remember the stuff he came up with. Well, my friends, thank you for reading. More will be revealed.